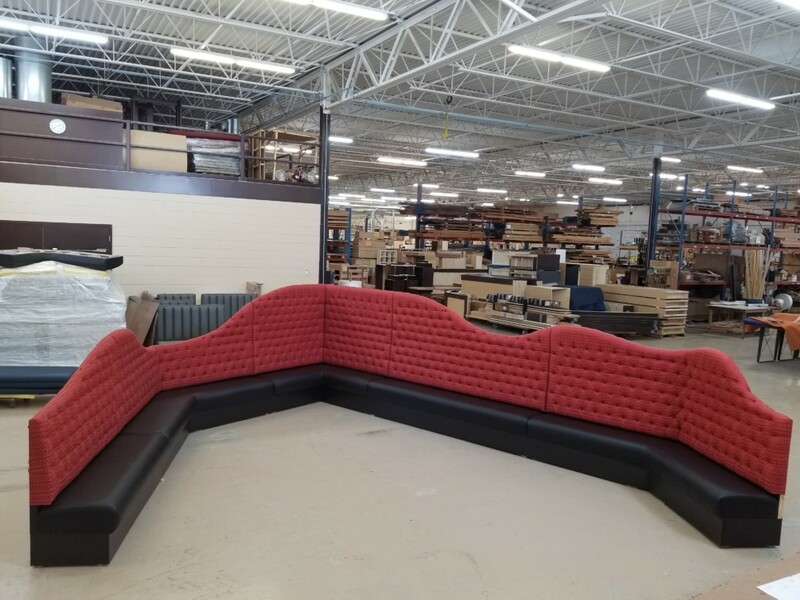 Two weeks ago my favorite upholsterers showed me the drawings for a new booth they were about to build. They were excited about the upcoming challenge- neither had ever done a booth quite like this before. Today they both stood back to survey their handiwork with me, and finally a well deserved pat on the back. We all need to be challenged, it’s how we rise to that challenge that sets us apart. We at Minnesota Millwork and Fixtures want to be the best. Therefore we have the best people. 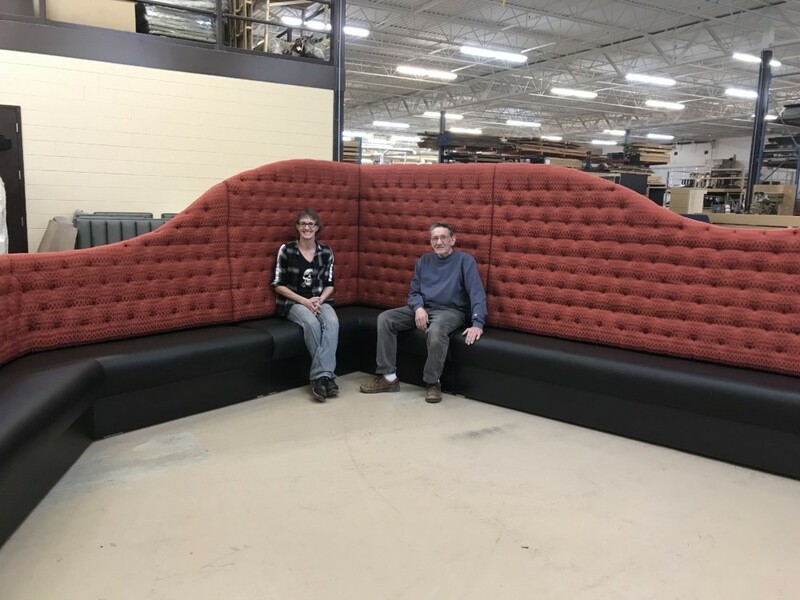 Today while talking with my two favorite upholsterers, I like to call them Amy and John, we were chatting about how much Amy has learned from John over the past year or so that she’s been working with him in the booth department. 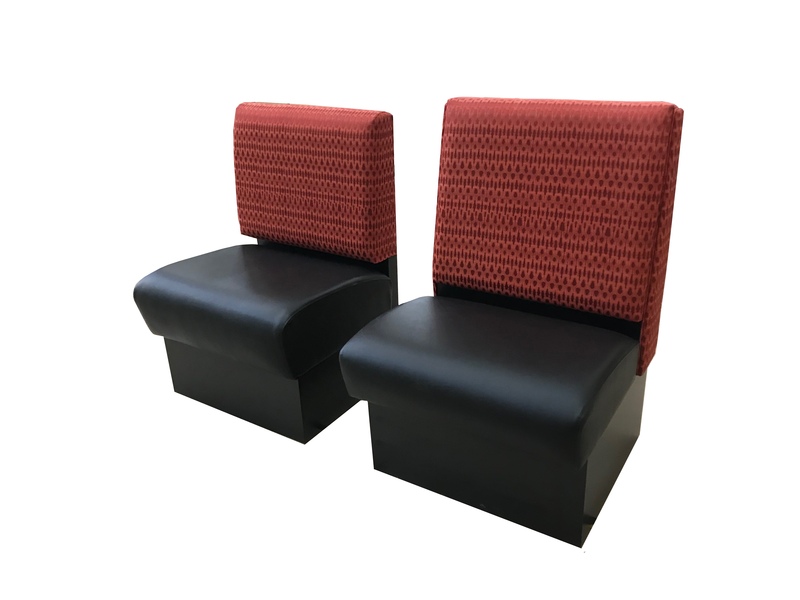 John has been upholstering booths for many decades, and is, no lie, the best upholsterer in the Midwest. Amy has approached joining the booth department with a confident attitude that she will succeed in anything that she tries. In the last year, with that attitude, she has beaten cancer in addition to becoming a top notch upholsterer herself, taking every opportunity to learn little tricks from John. We’re proud of our team and the product that we turn out! We’ve got the best people and we appreciate the hard work they do. Well done, booth department! Our booth department could use another team member or two. John says he’d take another Amy- even though she didn’t start out with the skills necessary she had the right attitude to learn them. If that sounds like you, give us a call!